[Equipment Recommendation] What is the price of talc Raymond mill? What kind of talc mill equipment can be used for talc grinding? On market, Raymond mill is widely used grinding equipment with stable and mature performance. It also gains a high market share in talc powder making field and enjoys the favor of talc powder-making customers. Guilin Hongcheng Talc Raymond Mill has stable operation, reliable performance, high processing efficiency, energy saving and noise reduction. Moreover, the price setting of talc Raymond mill is scientific, and it is an effective assistant to increase the production of talc powder. In the field of powder processing, Hongcheng is a high-tech enterprise with rich experience in mechanical processing, advanced pulverizing technology and mature team building. Hongcheng Raymond Mill has many patented technologies. It is grinding equipment that breaks through the difficulties of low productivity, low energy consumption and high maintenance cost of traditional mill. 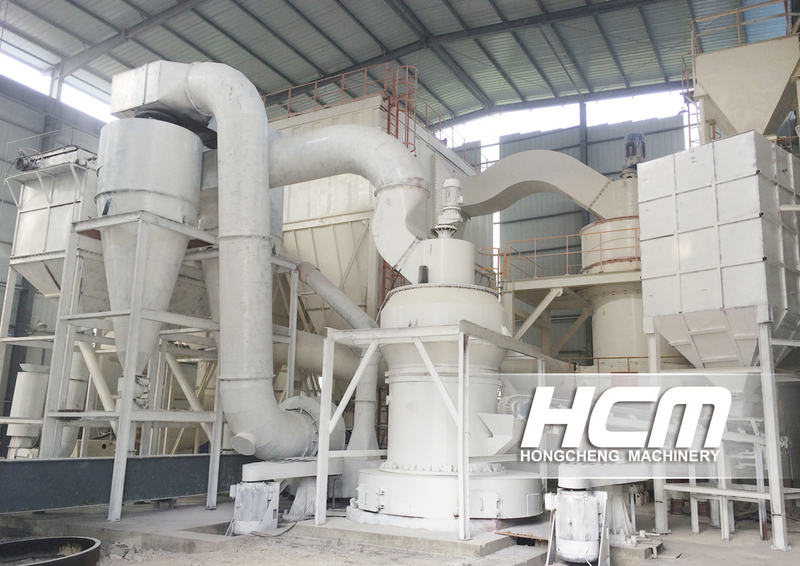 It is also talc grinding equipment recommended by Hongcheng’s customers. In order to improve the efficiency of equipment operation and help customers increase production and income, Hongcheng has set up offices and service centers in many areas. With a responsible attitude and the spirit of excellence, Hongcheng has formulated a selection and configuration plan for each customer, and formulated a reasonable mill price. For powder making, Hongcheng team is more scientific and the processing technology is more mature. 2. What's the price of a talc mill? Talc powder making, Raymond mill is a dedicated grinding equipment, then, what is the price of talc mill? In fact, the grinding needs of many customers are different, and the application fields of finished products are different, which requires strong manufacturers to provide customized services according to the needs of customers and provide more professional technical guidance. Hongcheng has been committed to providing customers with professional selection and configuration scheme, formulating a more reasonable mill price, which has been trusted and supported by customers. For talc powder making, Hongcheng also formulates the price and type selection scheme of talc mill according to the project requirements.